NO BOND on this BEAUTIFUL 3/2 GRAND FICUS Designer on a corner home site in the VILLAGE OF DE LA VISTA. 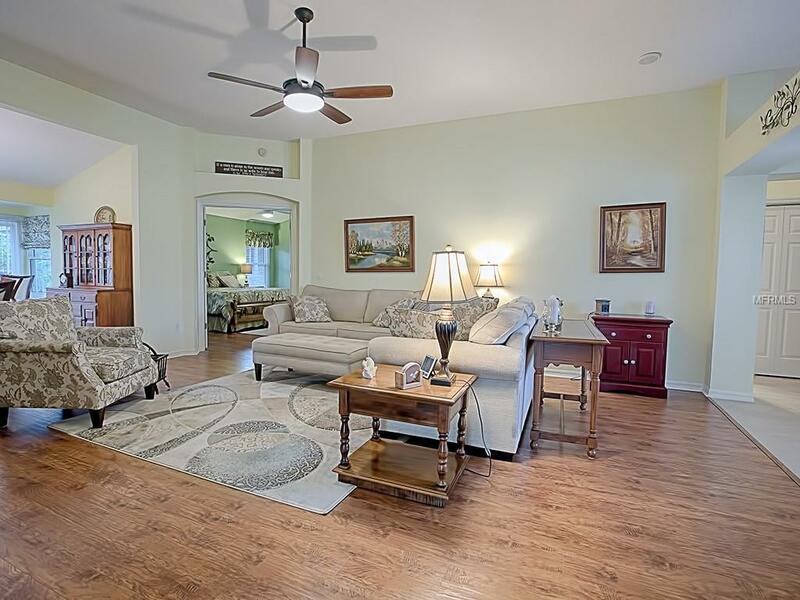 If you are looking for a FABULOUS, UP-GRADED home, look no further. You will appreciate the beautiful curb appeal as you approachshrubs, palms, rockery and circle driveway. 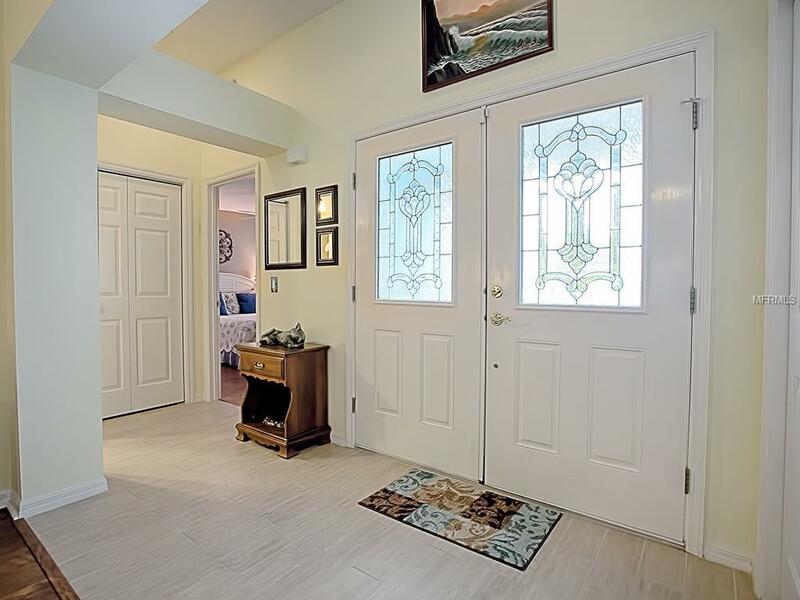 You will be impressed as you enter through the double leaded-glass front doors and notice the WOOD-LOOK TILE & WIDE-PLANK LAMINATE FLOORING. 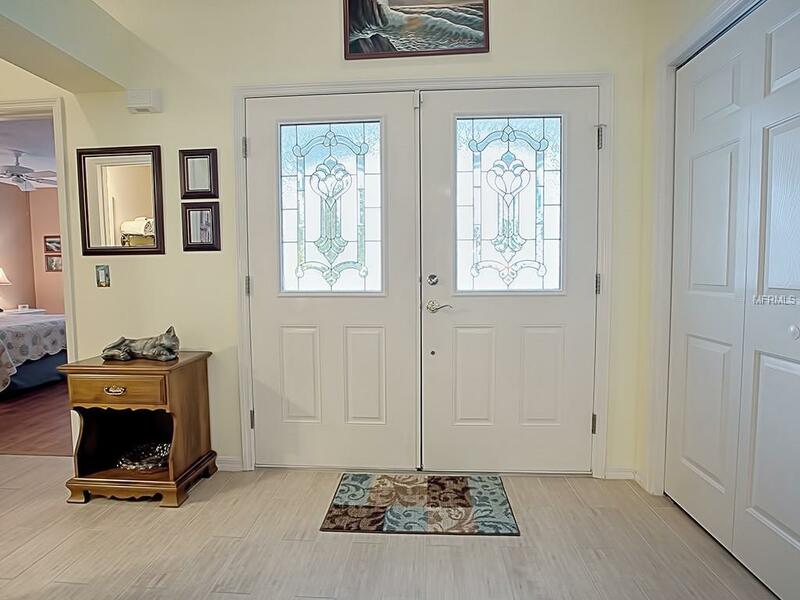 To the right of the foyer is the guest bedroom with bay window, BEAUTIFUL remodeled GUEST bathroom with frameless glass shower door. Off the living room is your formal dining room with sliders to your patio and FRENCH DOORS to the master bedroom, GORGEOUS UPDATED en suite master bathroom with dual sinks, separate frameless glass shower and LARGE walk-in closet. Also off the living room are pocket doors to your 3rd bedroom (does not have a closet) and being used as a den w/sliders to a side patio. The ALL NEW GORGEOUS kitchen features LARGE TILE flooring, pantry, NEW "CREAM" stair-step cabinets with crown molding, hardware & UPPER AND LOWER pull-outs, MOSAIC TILE backsplash, GRANITE counters, BLACK STAINLESS APPLIANCES w/ French Door refrigerator and smooth top range. You will love the eat-in kitchen area for casual dining! 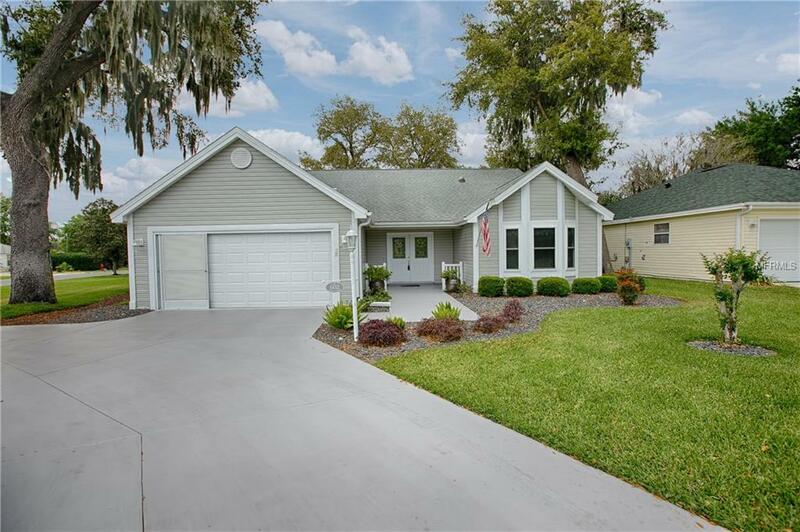 Other features: NEWER HVAC, NEWER ROOF, ALL WINDOWS were replaced, CENTRAL VAC, PLANTATION SHUTTERS throughout and SLIDING GLASS DOORS REPLACED! WHAT A FABULOUS HOME dont miss this one! Great location - close to golf, shopping and Spanish Springs!